A Dining Set that mixes chic and stylish design with fun originality. A circular Black Glass tabletop, held up by three intersecting legs creates a unique visual aesthetic. 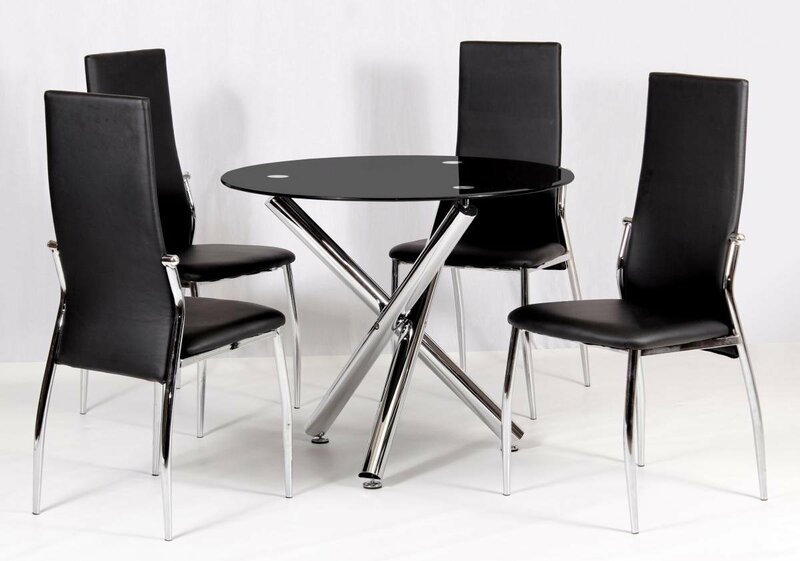 Complete with four strikingly minimalist PU Leather chairs for a classy Dining Set. Perfect for any modern and classy household. Table and Chairs are also available separately if you just want one element for your home.